In an effort to increase world peace and understanding among people of different nations and to improve the quality of life, our club provides financial support for all Rotary International programs, including Polio Plus, disaster relief, and safe drinking water/sanitation initiatives. 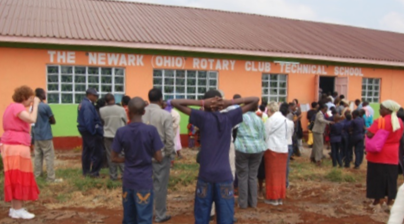 The Newark Rotary Club sponsored the installation of a water well in Koulouniko, Mali. The well distributes fresh, clean drinking water to 3000 villagers. The installation and construction of the project was managed by our partner club, the Bamako Amitie (Mali) Rotary Club. Our club purchased agricultural land in Rafiki, Kenya to support the orphanage located there. This orphanage is home to children whose parents or support persons have died from HIV/AIDS. A portion of the money raised for this project was spent to finish the Rafiki orphanage’s vocational and trade school. The club was able to not only provide the funds to finish the construction on the building itself to also to provide sewing machines, computers, welders, and other instructional equipment to be used in the school. 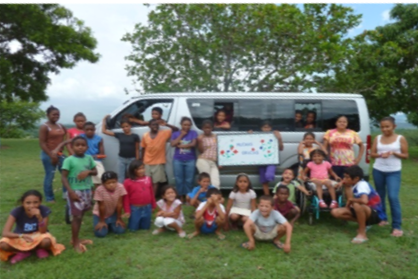 The Newark Rotary Club purchased a 24-passenger van for the Montana de Luz HIV/AIDS orphanage in Honduras. This orphanage cares for and educates children with HIV/AIDS. The van provides reliable transportation to the village so that children can get treatment. We partnered with the Granville Rotary Club to make this purchase. Polio is a disease that is centuries old. Between 1940 and 1950 an estimated 2 million children were affected worldwide. In 1952, 58,000 cases were reported in the US. With the development of the Salk and Sabin vaccines in the 50’s, the US was declared polio-free in 1988. But globally that year there were still 350,000 cases reported. In 1988, Rotary initiated the goal of total eradication of polio through child immunization. Rotarians worldwide have been contributing to this cause ever since. In 2018, there were just 29 cases reported worldwide. These were in Afghanistan, Pakistan, and Nigeria where political and cultural barriers make total immunization more difficult. 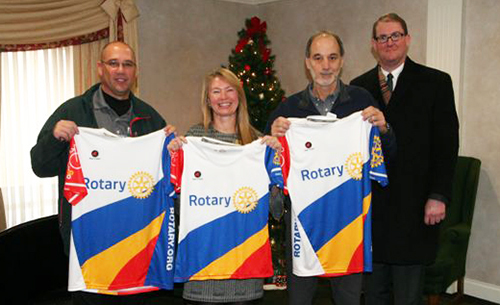 The Ride to End Polio was founded in 2009 in Rotary District 5500. The program originated at the Rotary Club of Tucson, AZ. 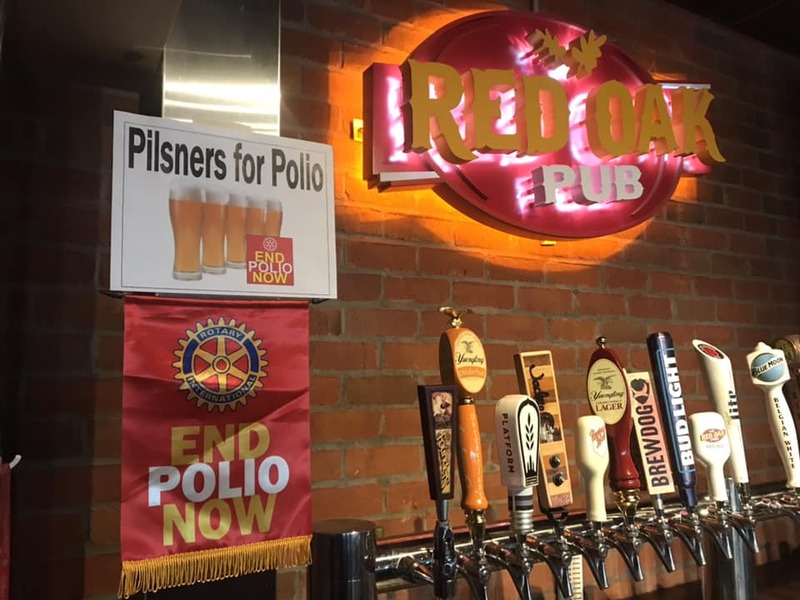 Rotarians have the option to ride in person at the Ride to End Polio/El Tour de Tucson each November, join an indoor team, or to volunteer and cheer on the cyclists at the event. The event’s 10-year total, including the generous donation match from the Bill and Melinda Gates Foundation, is $53,302,550. This purchases tens of millions of polio vaccines for children internationally. Newark Rotary Club was one of 13 teams to ride in 2018 and the only team from Ohio. This was our club’s second year participating. In 2017 our club raised $7,552 with 83 Rotarians donating to the 9 riders. 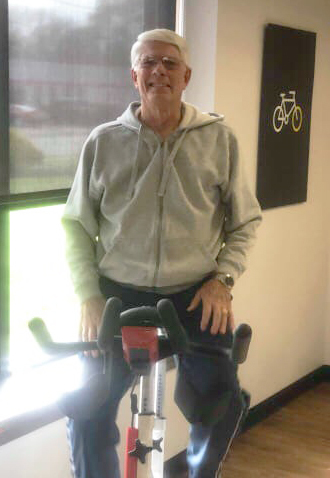 In 2018 we had 13 riders and raised $6000 with 83 Rotarians donating. Between the 2 club rides we raised a total of $13,552. 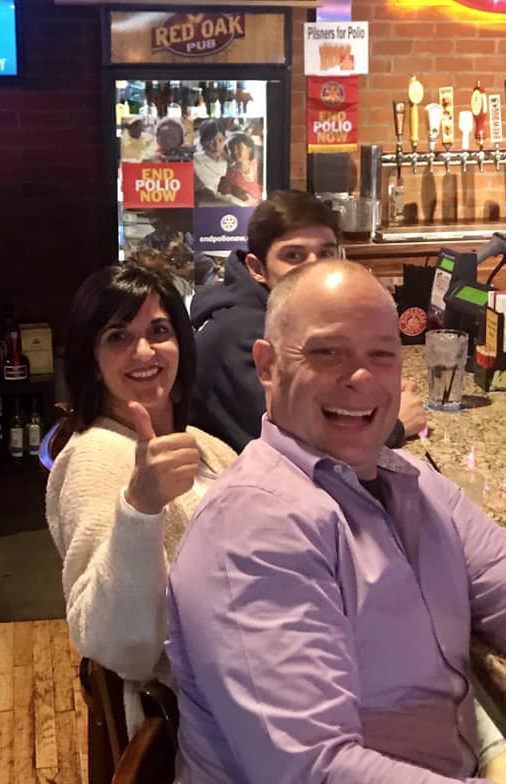 When matched 2:1 by the Bill and Melinda Gates Foundation that brings our donation to the Rotary Foundation to over $40,600. This amount, when you consider $0.60/vaccine dose, could immunize over 67,000 children. This is why we ride!